The Milwaukee Bucks are proud to partner with Froedtert & the Medical College of Wisconsin, sponsor of the TODAY'S TMJ4 Community Baby Shower. 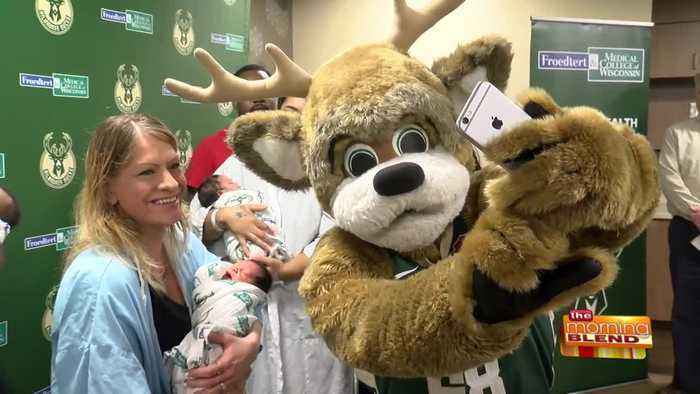 Earlier this month the two launched a community initiative to welcome newborn babies into the world with special Milwaukee Bucks receiving blankets. During 2019, all babies born within Froedtert & MCW Froedtert Hospital in Milwaukee, Community Memorial Hospital in Menomonee Falls, St.
Joseph’s Hospital in West Bend and St.
Catherine’s Medical Center in Pleasant Prairie will receive the special keepsake blanket. Susan Kim interviewed Arvind Gopalratnam, vice president of Corporate Social Responsibility, Milwaukee Bucks; executive director, Milwaukee Bucks Foundation, about this initiative.